It’s really wonderful that Mr. Kallisti and I can enjoy this hobby together. Thank you honey! That’s awesome! Also, I just want to say that on PMS days switching out tofu for chocolate cake at lunch is *totally* allowed. One of these days my boss is gonna come by my desk to see what I’m cooing at, that outfit rawks! 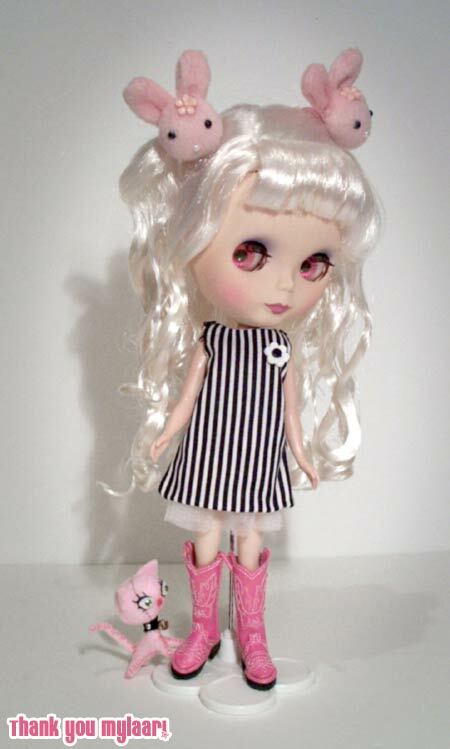 Your Blythes are so great, luv the photoshop antics too!